For thirty years the United States has been losing dairy farms at an alarming rate. How can the next generation of young people get into this industry when we receive 1980 milk prices with the expenses of the current day? Dairy Pricing is a complete program to remove commodities from the market when surplus situations arise. Dairy farmers did you know, when milk is in great supply many loads of raw milk are sold at $1 – $3 per cwt under the class III price? When this happens this cheap milk goes into storage as cheese or powder and starts to pile up. We need to have a fund in dairy pricing to buy at these times to keep the system from being overloaded. We have talked with Food for the Poor, who exports to 17 foreign countries and would remove all of the whole milk powder we could supply them. Domestic user would be Feeding America. They would use our products in soup kitchens to feed the homeless in the United States. They have a net work that covers the US from shore to shore. We will not let our products go into programs like food pantries that may take a sale away from a store. We want our products to go to people who could not get it any other way except through donation. We are asking for 10 cents per cwt check off from your milk check to help this industry survive. Think about this: For every semi trailer load of whole milk powder we export or use in soup kitchens, eight tanker loads of raw milk will be removed from the overloaded system. There will be times when we do not need to buy products. During these times we save our money until we need to purchase product again. This program is not being funded by any processor or marketer. It has been started and cultivated by dairy farmers who believe that doing nothing is the wrong thing to do. We welcome all dairy producers no matter what size or what grade of milk you produce. Let’s join together and help ourselves and the economy of this country by bettering our industry. This program has no quotas that can hurt the processor and put a false value on a dairy farm. It’s time we help our selves and those in need at the same time. Dairy Pricing Association is a Co-op created under the Capper-Volstead Act of 1922. DPA makes all Producers common with one another for the purpose of creating a floor price for their milk production. This is done through membership dues which are used to place an order to purchase finished Dairy Products from processing plants, whether producer owned or not. 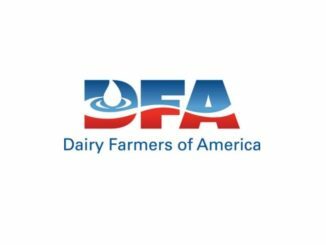 As Members’ Dues come into DPA each month from their milk sales, the money is credited to the plant that processed the milk. DPA states the price it will pay for the finished product, example; Cheese, Powdered Milk, Butter, or Fluid Milk. When the Dairy Plant fills the order placed by DPA it is donated for humanitarian purposes. When DPA’s order was filled that meant that the current market price was at or below the members desired floor price. The Dairy Products are always donated for Humanitarian purposes because “Disappearance positively affects price.” When a producer of a commodity takes a portion of their production and provides it at no cost to someone, that’s called promotion. How can DPA benefit milk handlers and processors? The priority of a producer based handler is to pay a competitive price to their producers. DPA does not disrupt the flow of milk to the plant by dumping raw milk or limiting milk production as quota systems would do. The producer helps balance the milk plant inventory by purchasing the plants production when the farm price falls below DPA’s target price. DPA must only purchase milk produced by its membership, so as your farmers pay into DPA their money is held to buy product from the plant that a producer’s milk is delivered to. The plant will always receive all of the member’s milk so they can meet the needs of their buyers first. DPA operates nation wide so we can help balance plants across the United States. DPA will not introduce new government regulation’s that burden the industry. All information acquired by DPA is confidential and will not be shared with milk handlers or solicitors. This program is strictly voluntary so the producer has to make the decision to join. There is no contract involved, producers can terminate their membership at any time simply by stopping their milk check assignment. The graphic below shows how the members’ dues are paid to DPA, then DPA places an order to the plants where members’ milk is processed. 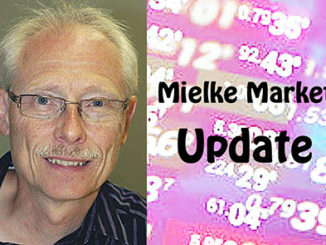 If current market prices are above DPA order price, the monies are banked and each month the size of the order increases adding bargaining strength to our processing plants to negotiate a positive price from the wholesale and retail community. With DPA, Dairy Producers’ dollars stay in our industry because when prices do decline and product is purchased, the monies used to pay for the products come back to us in our next milk check. The Dairy products are always donated for humanitarian purposes. Because disappearance positively affects price, and when a producer of a commodity takes a portion of their production and provides it at no cost to someone, that’s called promotion.